Former Fixer Upper stars Chip and Joanna Gains teamed up with Target once again for the Hearth & Hand With Magnolia holiday collection. It features must-have pieces like ornaments, candles, stockings, and decorative pillows to turn your home into a holiday haven. All of the items range from $9.99 to $39.99 and launches on November 1, giving you just enough time to get your shopping list in order. 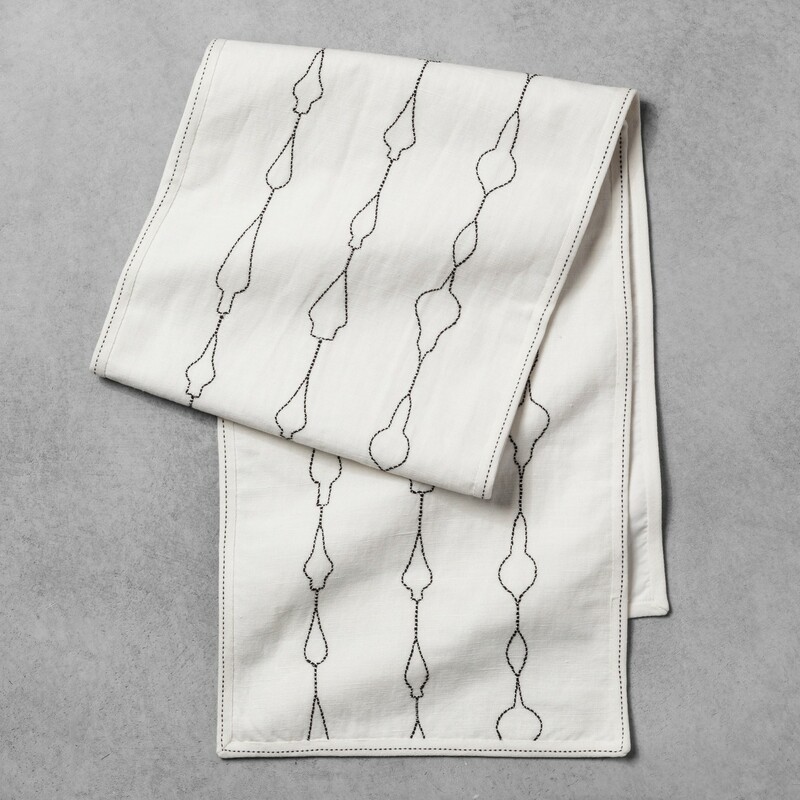 The embroidered antler horns and subtle fringe detailing on these soft linen-cotton napkins will add an elegant touch to any holiday dinner table. 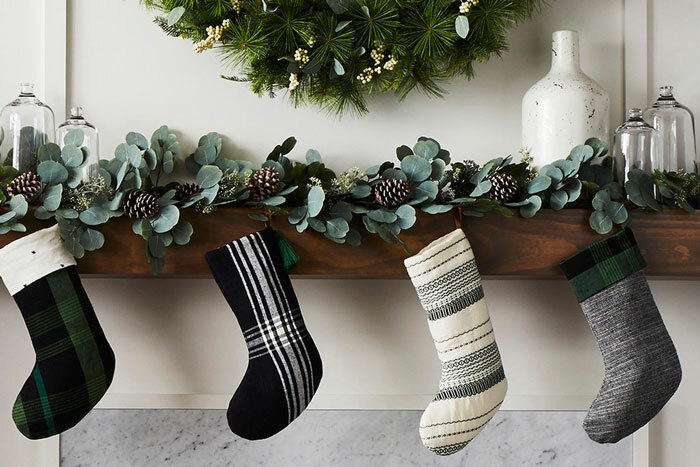 Christmas décor isn’t complete without a fireplace adorned with stockings for the whole family. Plus, how adorable are the red pompoms?! 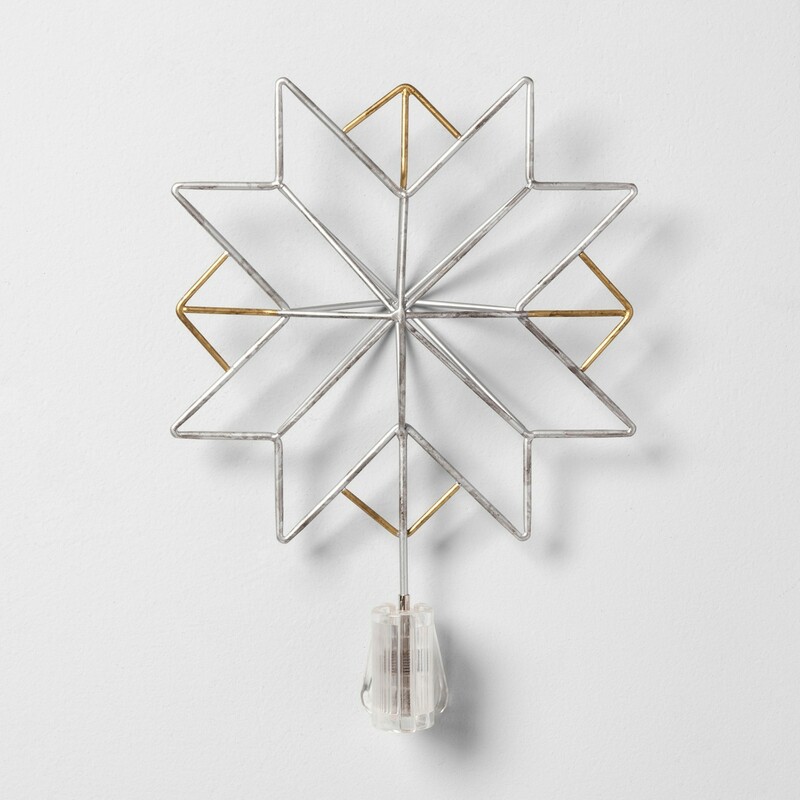 Chocolate, key chains, or mini toys — make the 25 days leading up to Christmas your own by slipping items of your choosing into each pocket of this boho-chic wall piece. It’s all in the details! 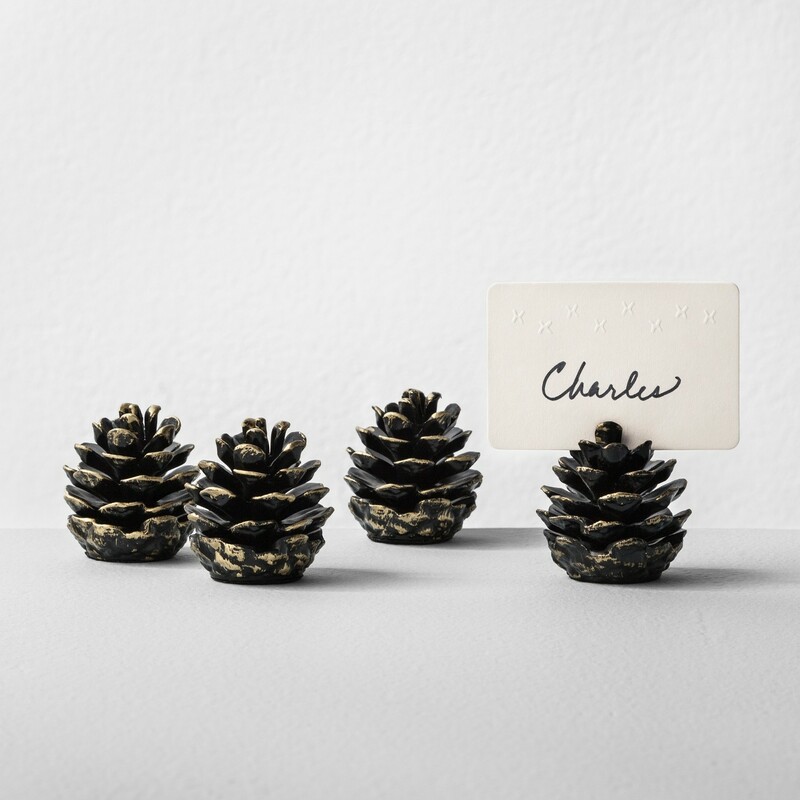 Use these holiday-friendly place card holders to take your table décor up a notch. What’s a tree without a star topper? The dynamic shape and rustic finish make this different from the rest. 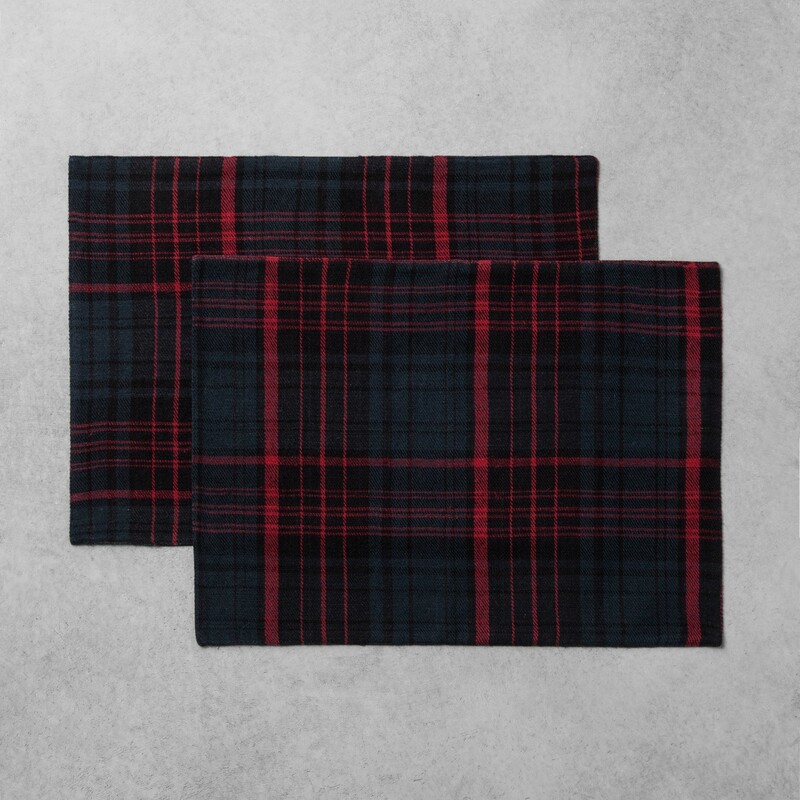 The deep blue and red flannel pattern embodies all the cozy vibes. Pair it with holiday-themed tableware and a festive centerpiece to complete the look. How gorgeous is this pillow? 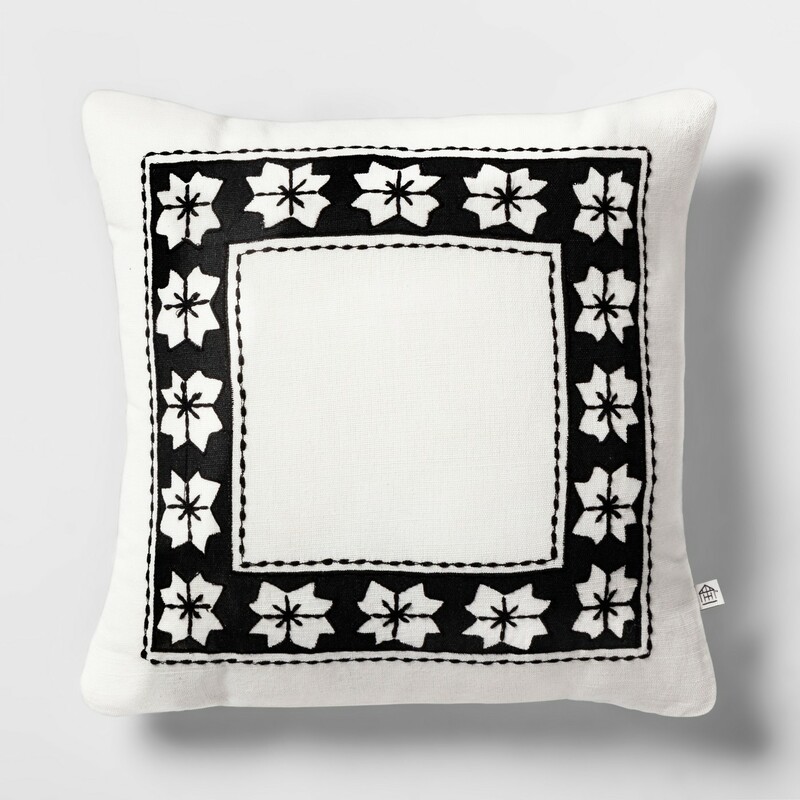 The black and white Nordic star design pairs perfectly with any interior décor. 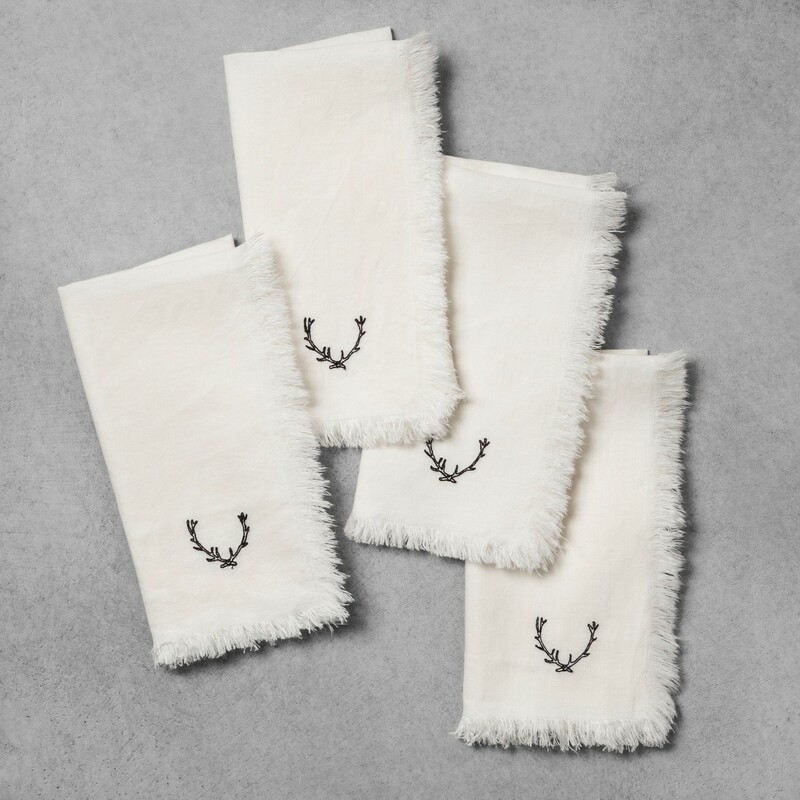 We’re suckers for anything embroidered, and this one takes the cake because the neutral color and simple design make it appropriate to use long after the holidays are over. 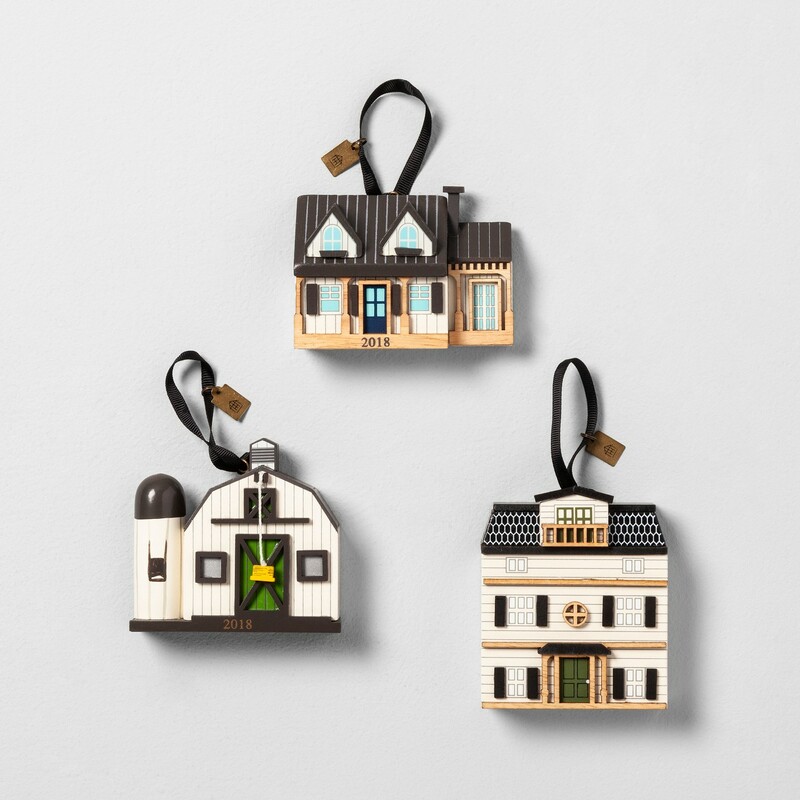 A doll house, barn, and farmhouse — these adorable little wooden houses add rustic charm to your holiday display. 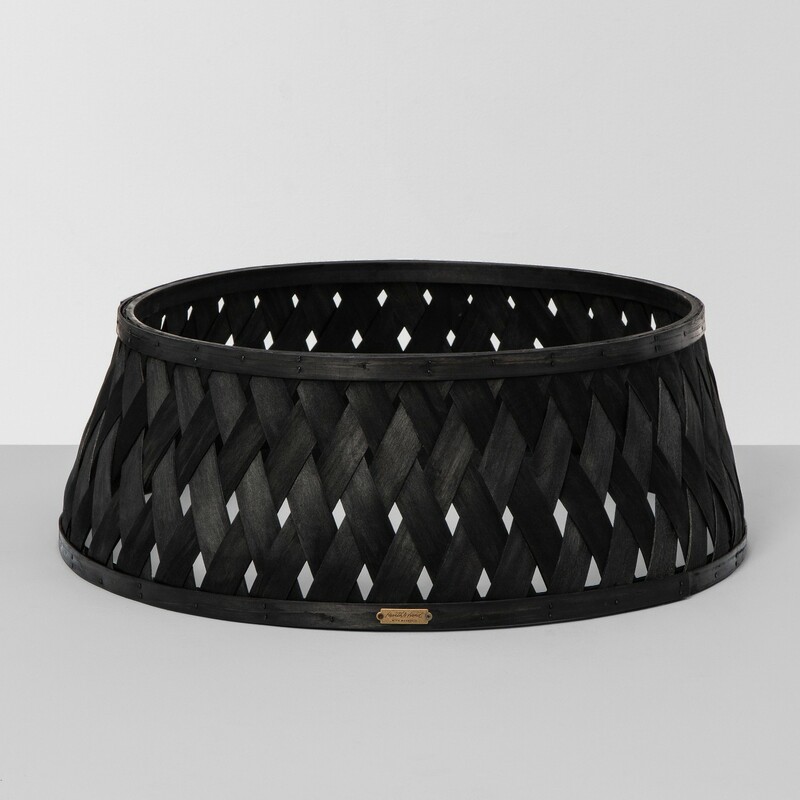 Elevate your Christmas tree with this black woven wood panel, which provides a chic alternative to a traditional tree skirt. What’s your favorite piece from the collection? Let us know in the comments below! I love it all. The entire collection is fabulous. Omgosh the tree skirt! LOVE it! Probably the placemats are my favorite. 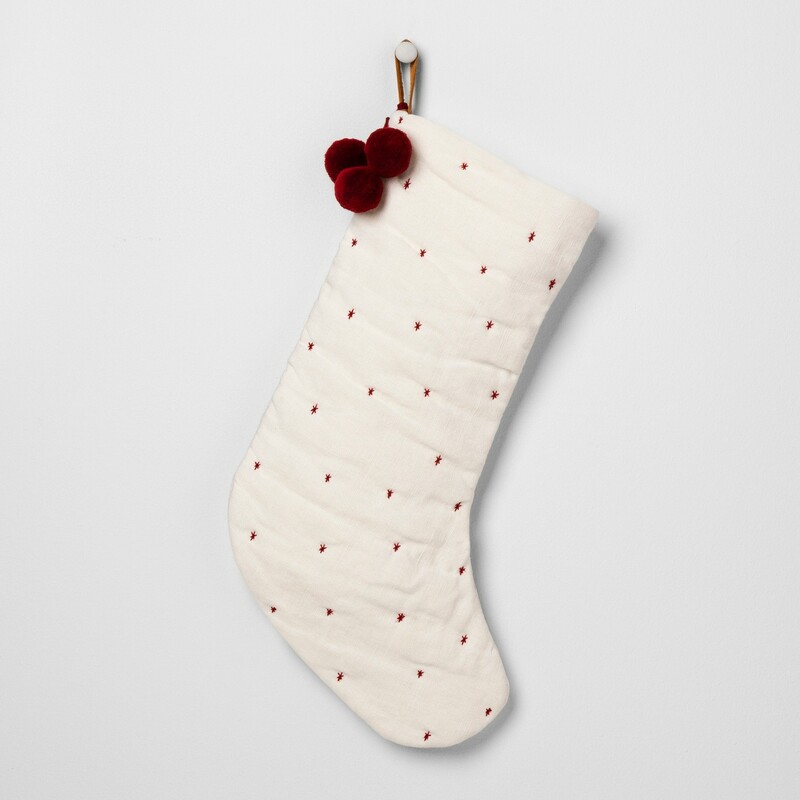 And the stocking. They are all very nice. Love all of jo and chip’s pieces! 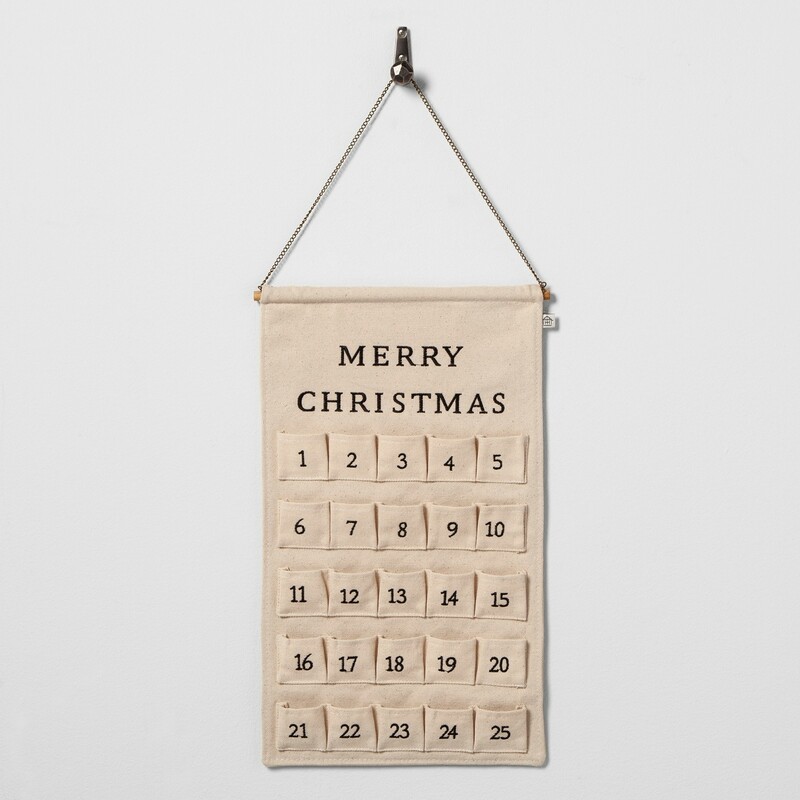 But am especially partial to the Advent calendar. Perfectly traditional ??????? ?